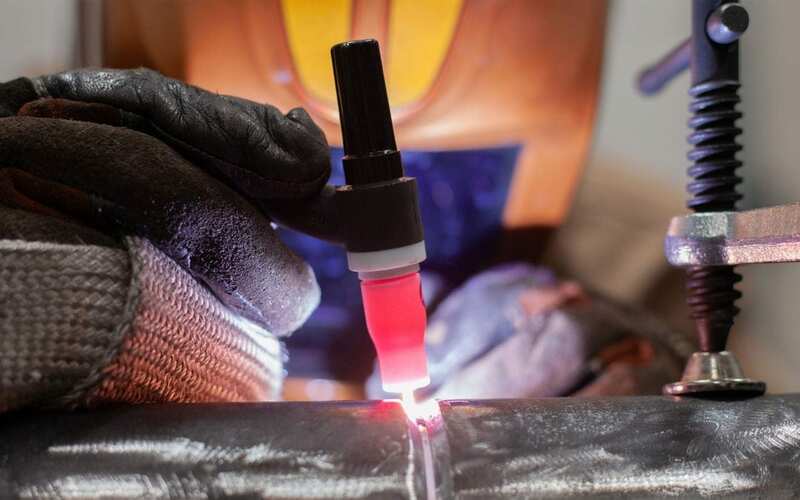 There are so many welding variables that influence a weld’s quality; the variables are amps, volts, travel speed, filler metal, shielding gas, base material, etc. But have you ever stopped to think about how they influence the weld? Today we will look at the two electrical components which influence welding; Amps and Volts. Each has a very different impact on a weld. Let’s start with voltage. Think of voltage as electrical “pressure”. It is the carrying force of electrical current (or amperage). But how does this electrical “pressure” affect the weld? Figure 1 is a photograph of three welds in the submerged arc process. Travel speed, wire diameter, and amperage were all held constant – only voltage varied. As you can see, the voltage has a very little impact on penetration. The effects of voltage ride atop the surface of the weld, helping the weld to lay flat and wash in at the toes of the weld. Too much voltage can yield a flat weld, concave weld, or undercut. Too little voltage yields a ropy weld bead and can contribute to a lack of fusion. Amperage is the strength of the electrical current. Its primary effect on welding is the melt-off rate of the electrode and the depth of penetration in the base material. It is available in three different forms; DC+, DC-, and AC. For most stick and MIG applications, the DC+ polarity is used and for this article, we will focus on the effects of DC+ polarity. 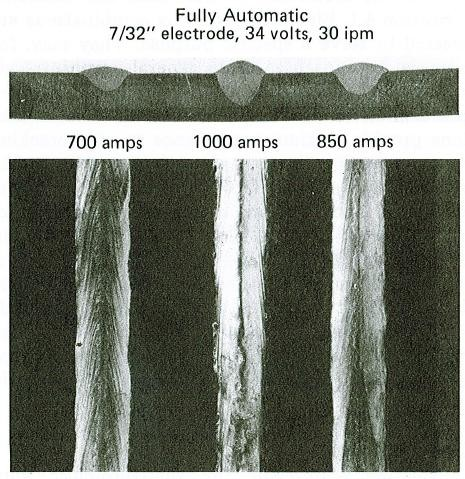 Figure 2 illustrates the effects of DC+ amperage on a weld (illustration was welded with the submerged arc process). 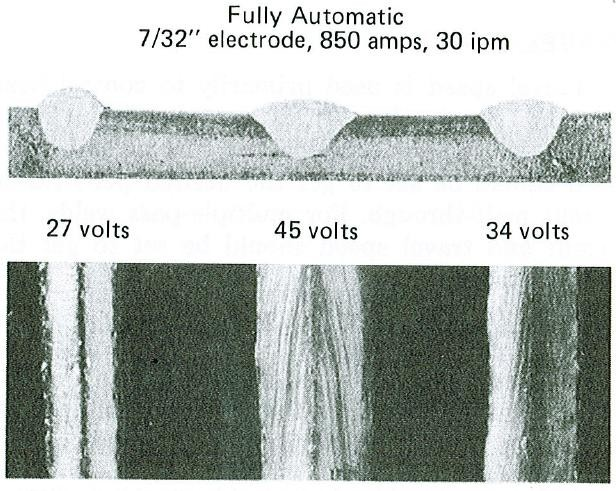 Voltage, travel speed, and wire diameter were all held constant – the only amperage varied. The penetration profiles of the welds in Figure 2 demonstrate the importance of amperage to the penetration of a weld. Also, notice the height of the welds. In the wire welding processes (GMAW, FCAW, and SAW) wire feed speed is the control of amperage. To gain a greater amperage, wire feed speed must be turned up. To lower the amperage, wire feed speed is turned down. With all things held constant (except amperage) the excess wire melted off at the higher amperage has to go somewhere. Much of it is in the penetration of the base material, but much of it has stacked above the surface as well. Too little amperage yields little penetration. Too much amperage and it is possible to burn through the base material. In summary, when it comes to the effects of the two electrical components of welding, what can be seen above the surface of the base material is controlled primarily by voltage. What lies beneath the surface of the base material is primarily controlled by amperage. If you have any questions about this topic, please contact a representative at General Air.